Dental SEM can provide all the IT support you need in setting up your email accounts to become more professional. Once you are set up then we help you to build trust and rapport with your patients via email. 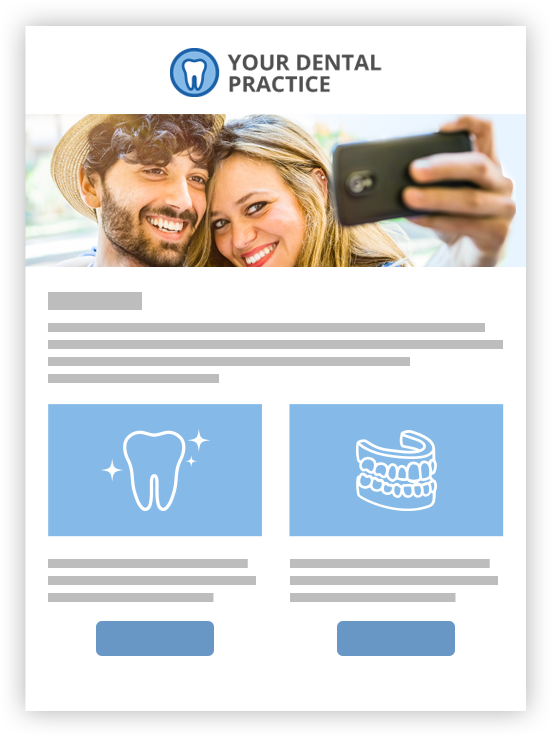 Dental email marketing is a great way to reach your patients without spending a lot of money but it’s a big responsibility too; people don’t give their email address out if they know it will result in junk mail. In order to keep your patients engaged enough to stop them from applying a ‘spam’ filter to your emails, we try to find a balance between informing and advertising to patients. As our email marketing targets patients with specific information related to their interests, our aim is to eventually guide leads through to the conversion stage.